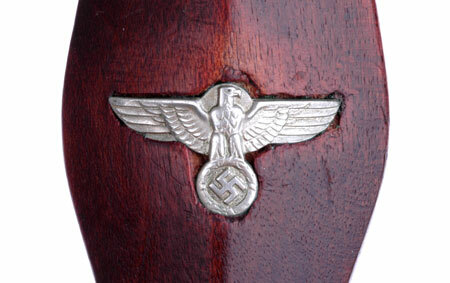 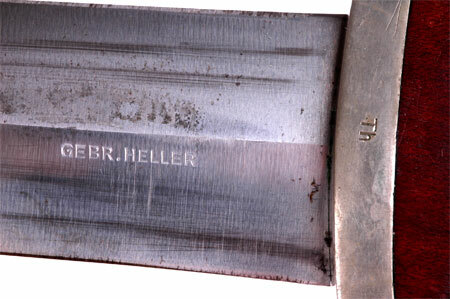 Stamped Gebruder Heller SA Dagger: All solid nickel fittings with original patina, excellent grip with no chips or cracks - perfectly fits the crossguards, scabbard has over 90% of its anodizing, bottom of scabbard ball is dented, the lower fitting and the scabbard each have a teeny ding, blade is mirrorlike in places with lots of crossgrain, lots of in-out marks and some spots of light corrosion, still lots of black inside the motto, never polished or taken apart, overall light wear. 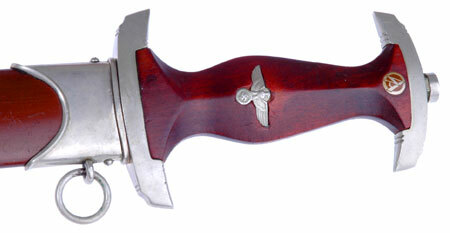 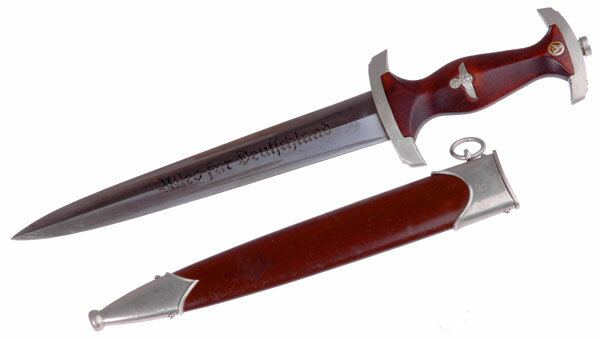 Supposedly the Heller Brothers was the only SA maker to stamp their name on the blade. 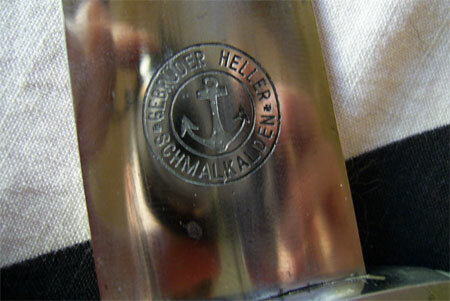 I think Heller stamped their name on unmarked blades purchased from other makers to fill a contract because they could not make enough of their own blades which had an anchor inside a circle as their logo. 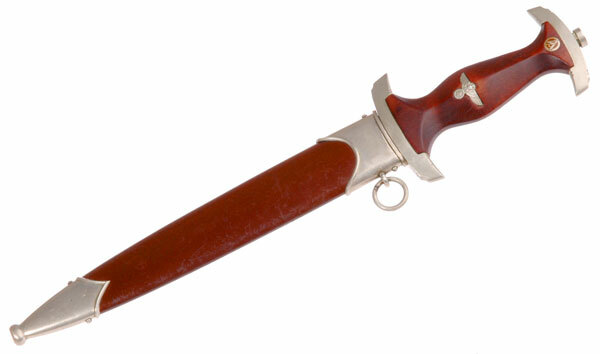 This looks like a contract filler blade because it was slightly too thick to fit the crossguard. 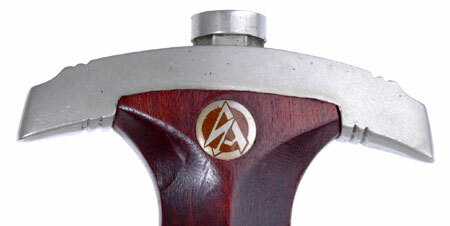 The company benchman slightly enlarged the opening and then applied a little bit of hard black filler material to seal it shut.